This entry was posted in Food, Recipes, Scotland. Bookmark the permalink. Discovered your blog today and absolutely love it. My favorite dessert hands down! I made a gluten free version for Burns Night this year and it was really good! 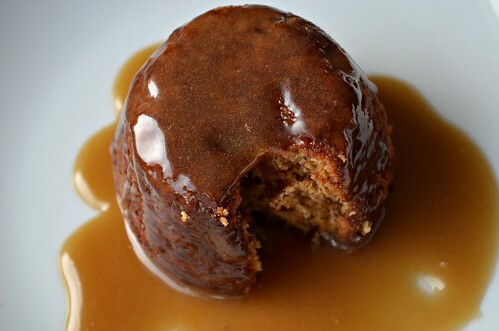 This looks lovely – who can resist sticky toffee pudding? Oh wow! I want that now. 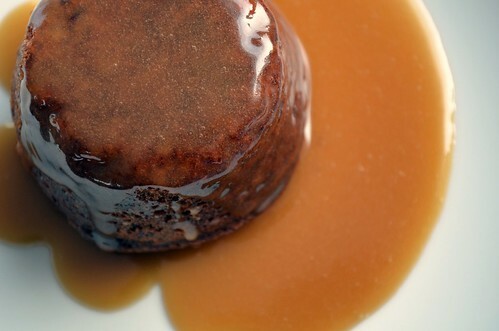 Sticky toffee pudding and custard is the best dessert! The recipe sounds wonderful and the picture is beautiful! Will have to try and “translate” the ingredients for American cooking. going to bookmark this for the rainy season! Oh , I can quite see the appeal ! And all those dates must make it super healthy …. well , nutritious , then . If I could , I’d make it like a shot ! Love the photographs. This is one of my favourite desserts ever and yours looks fantastic. Oooh Wendy, you have kindled up memories of boarding school delicious steamed puddings….I think I will be serving this dessert this evening. Thank you – it looks absolutely mouth-watering! that looks freaking awesome! all sticky and sweet and gooey. treats like this weren’t part of my childhood, but I’m glad I’ve discovered them, although somewhat later than most. That looks amazing! I sometimes resist making something for fear that I will emerge in a different state, but it looks like it would all be worth it for that sticky toffee pudding! Oh my gosh…this looks amazing! My husband and I will be coming from the U.S. to Scotland in June and it now appears that we will be swinging by Beekie’s Neuk whilst driving from Inverness to Aberdeen. I’d love to try this at home…but are not sure about a couple of the ingredients…muscavado sugar? Mixed spice? Can anyone translate these for me? Yay, another Scottish food blogger! And what a beautiful blog 🙂 I’m from Aberdeen and your photos of Scotland remind me of home (I live in England). Will definitely be back, especially to make that gorgeous looking Sticky Toffee Pudding! I promise to try the recipe out though, once I have shed a few winter pounds! A restaurant over here in Rhode Island used to have this on their dessert menu. It was the only non-chocolate dessert I ever craved. Inexplicably they took it off the menu. Thank you for this recipe – and my husband thanks you as well!